It’s the ultimate bargain hunter’s dream (or a parent’s nightmare). Whether you get your lists late in August (we don’t start til September) or at the end of school in June, it doesn’t matter. Then comes the questions when the sales start..
What do we stock up on? I like getting supplies. It means I get to go to Staples, my second fave store (Ikea is first, unless Staples starts selling those cinnamon buns in which case, bye Ikea Felicia!). It’s a great excuse to see which office supplies are on sale. What do we find the most annoying to buy? I’ll tell you. CLOTHES. Shopping for clothes with Mini is a pain in the neck! She’s super picky and her tastes change faster than her moods these days, therefore it’s pretty much a nightmare. Come to think of it, there could be some correlation between her pickiness and moods. I’m not ready for this. 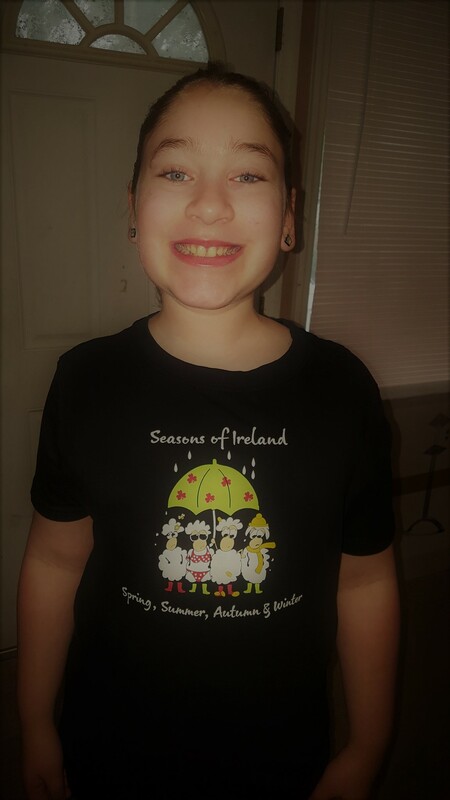 We did manage to find this awesome shirt, which Mini chose as part of her first day outfit..
BACKPACKS. We are lucky to get a year out of Mini’s backpack. 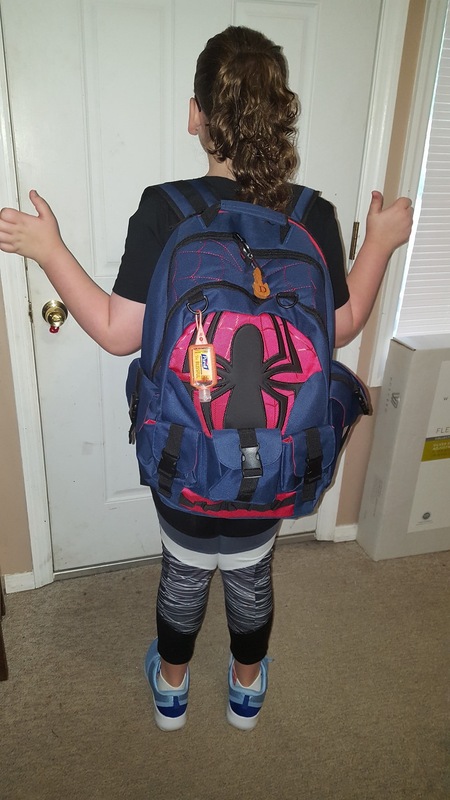 We were in negotiations for a while in regards to a Spider-Man backpack she found online at Hot Topic (stupid internet!). I’d have to agree it’s pretty badass and even my husband was on board.. til he took a gander at the price tag. HAHA FAT CHANCE, KID! The negotiation started when Mini offered to pay for half of it. Since she hasn’t spent all of her birthday money yet, she’s willing to fork over the money. The rest of the price is fairly close to what we usually spend on a bag each year. Negotiations continued and we came up with a plan. Guess who has the awesomest backpack now? 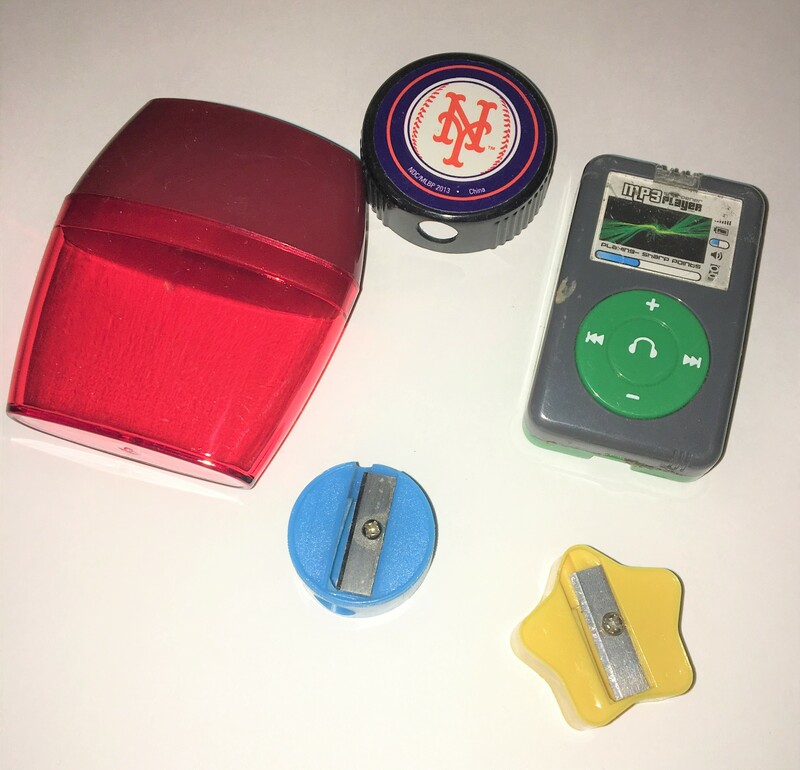 PENCIL SHARPENERS. Yes, I get it. The kids need to quietly be able to sharpen pencils during tests, but these things break in the first week of school. I mean seriously, one little knock off the desk and it’s history (and a little lesson in physics! haha). I guess I just wish they were a bit sturdier, that’s all. By the way, if you’re reading this and could recommend a sharpener that catches the shavings, has worked for you and doesn’t break the bank, I’m all ears! Rather than replacing them monthly, I’d shell out a little more for them. SNEAKERS. I realize this could be lumped in with clothing, but it’s not. You see, Mini is in adult sizes now and you know what that means.. no more “reasonably-priced” sneakers. No light-ups or superhero designs. Oooh this child was NOT happy the last time we went shoe hunting. She did, however, happily get a pair of shoes when she realized we could buy matching ones. I jumped at that chance! She’s 10 already.. no telling how much longer she’ll think I’m cool enough to play matchy-matchy with! 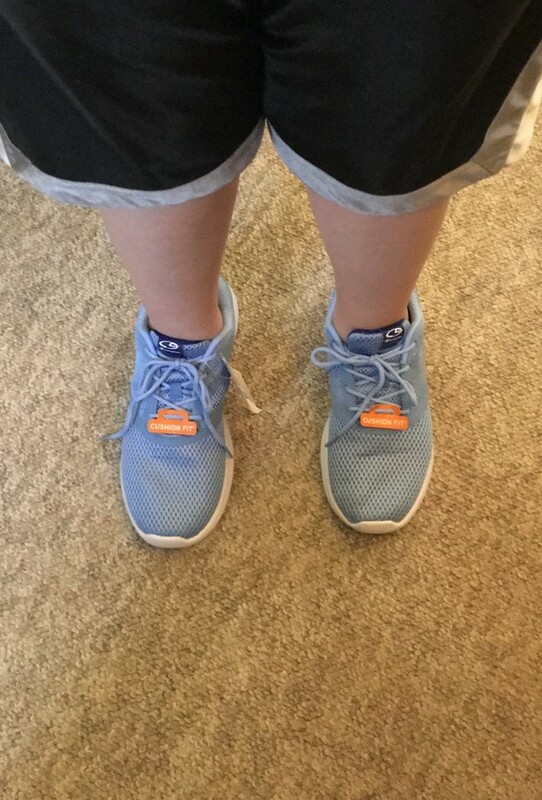 Here are her new ones and no, we couldn’t find a match for me because WE’RE THE SAME SIZE! SHARPIES. 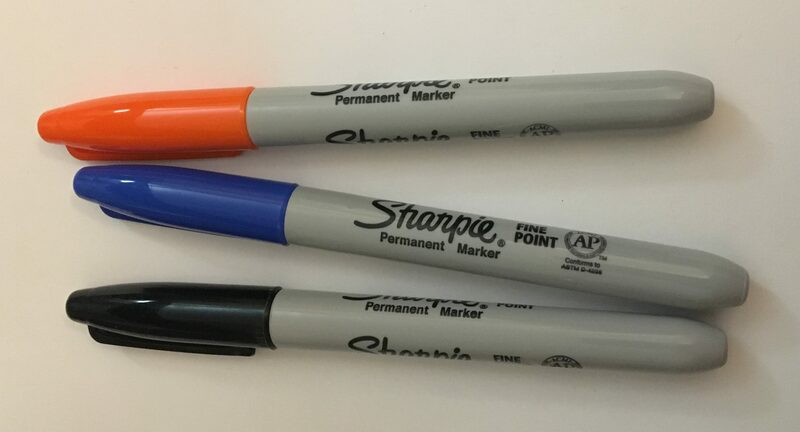 I don’t remember even being allowed to use Sharpies in school, but somehow they’ve been on Mini’s supply list for the last few years, along with every other type of markers out there. They’re also pricey.. and I don’t like sharing mine, quite frankly! HA! BONUS: COLORING TOOLS. Yeah, this drives me NUTS! 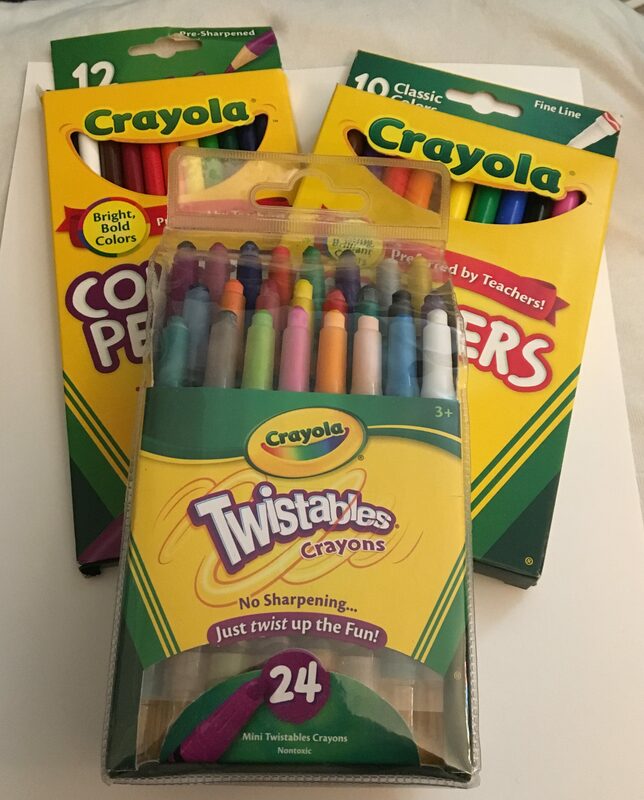 In addition to the regular crayons and colored pencils, teachers have also requested the twistable crayons and twistable colored pencils, as well as both skinny and thick markers, and also dry erase markers (don’t forget that eraser). Seriously. Everything you could possibly color with, it’s been on school supply lists (except chalk because chalkboards don’t exist anymore – hello smartboards!). One year, it seemed like I bought one of everything in the Crayola back-to-school display. Let me just clarify that I always get the supplies the teachers ask for and if I have extra (which this year, my savvy shopper ways yielded a bunch extra), we give some away.. but some things are just annoying to shop for. Sharpies are really on the list??? I remember they were banned when I was in school! My mom kept a shelf in a closet devoted to spare school supplies, which made since with so many kids (six). There were reams of binder paper, pencils (mechanical and wooden number 2’s, erasers, white poster boards (you know, before power point presentations), all the basic things she knew we would need and would suddenly declare we desperately needed late Sunday night. I do remember agonizing over what color Jansport backpack to get, but that Spiderman one is much cooler than anything I had. I was kind of shocked that Sharpies were on the list too. They use them with their index cards, from what I’ve seen. I hear you on the school supplies.. I’m one of 9. BTS shopping was insane, wasn’t it? I used to joke that my parents needed another room just for all of our supplies. I LOVED my Jansport backpack! I had the same one all throughout high school. I agree the Spider-Man one is ridiculously cool. I think I might be a bit jealous of it but my bag and backpack collection far outweighs Mini’s so there’s that! Haha!